This time around I would like to dedicate this blog post to all my Weight Control clients and use it to gather some of the feedback I have received from my 4 session weight control programme. The programme ensures success by covering all aspects of weight control; from what you are eating, how you are eating, when you are eating, activity and exercise, self-belief, self-confidence, self-image, motivation and more. All you need to do is commit to it and follow all instructions and you will experience success!! 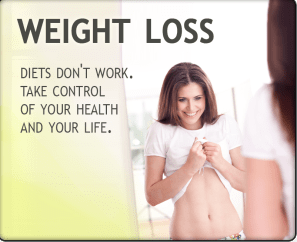 "Things are going really well for me since the Weight Control Hypnosis program. I have lost 30 lbs so far and I am feeling so much better than I did before. I am using the self hypnosis and the recording from our last session. I’m walking more and feeling confident. I’m drinking about 3 liters of water a day and it is easy to do so. I am eating healthier and I am enjoying it. I am loving fruits and vegetables. This is the new me now and I am very happy with the changes that have come from my weight loss." "Thank you so much for everything Trevor you have helped me change my life and I really appreciate your help. I have recommended you to my friends and I hope they contact you when it is the ‘right time for them". "I Just finished my sessions for weight loss program with Trevor. Already down a dress size and looking good. Looking forward to the future being the size I want. THANKS TREVOR for all your help and support". "Hi Trevor. 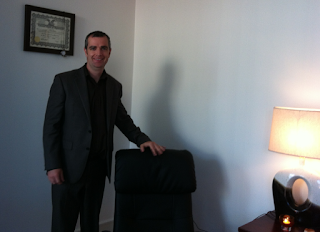 I want to say big thank you for helping to make it possible to loose weight through your hypnosis. I can now wear my little black number to my Christmas party with confidence…….. Dreams do come true." 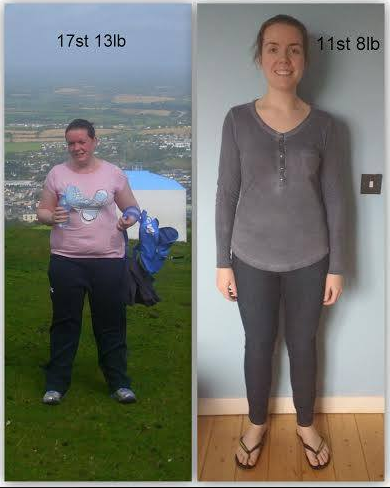 "I am a wheelchair user who has battled with my weight for a long time and I have been on every diet going. I was reading my local paper and came across Trevors advert so I made an appointment and never looked back. It was a new experience for me and I have lost ten pounds so far, so Thanks Very Much Trevor". "It’s been approx two weeks now since I completed my six week weight management sessions with you at Waterford Hypnosis. I wanted to take a moment to firstly thank you very much and secondly to share my experience of hypnosis which I am hoping you can share with future clients as it may help them decide if hypnosis is for them. I know for me , when researching this avenue I was interested to hear of others experiences. Hypnosis was not something I jumped right into as a fleeting thought , looking for a miracle cure for my expanding waist line! I’ve considered it and reviewed it as a method for weight management down through the years but never quite felt like I needed it just yet. Over the past 6 years or so, I’ve managed to successfully lose approx 6 stone through sheer determination , exercise and change in diet however the past year or so approx a stone has gradually creeped back on . So I changed things up , looked at my diet and tried a more intensive exercise routine. Now this all sounds great and it was and is, but I started to look at food and realised I’m obsessed! As most of us probably are. I realised that I use food as some sort of a reward or comfort. When I’m happy, sad, celebrating, commiserating…food is the reward! I knew I needed to change my mind set and not have food be such a focal point in my life. I love food, we all do but I didn’t want it playing such a role in my life. As I used food as a reward or comforter it only worked for that moment in time until day after day my clothes started getting a little more snug and my chin was starting to grow an extra chin and my belly was manufacturing spare tyres at a very fast rate lol. All my exercise and watching my food was great but I just needed that change in mind set so I knew I was ready for hypnosis. So, after a 6 week weight management course , where I visited Trevors office 4 times I am delighted to say that I am 15.5lbs lighter and have lost an average of 14 inches all over my body! How you might ask? Well if you want to lose weight the concept is very simple, portion control, healthy choices and exercise. It’s actually not that complicated, however it takes determination and a true want , to lose the weight and manage your weight and that’s the difficult part.Through Trevors suggestions I found myself actually eating more. More fruit and vegetables (actually craving them). I found myself drinking more water, I was actually really thirsty. I found myself pushing myself at exercise class, I was far more determined! Some nights I found myself thinking about having a chocolate bar and all of a sudden it was hours later and I was brushing my teeth, getting ready for bed and thinking, wow I really didn’t NEED that chocolate bar after all! See the thing is, I lost that weight the regular normal old way. Portion control, healthy food choices and exercise and although physically exerting, it wasn’t a mental struggle because of how hypnosis works. The last day that I stood on the scales and we worked out I had lost 15.5lbs in that length of time, I was astounded. It really didn’t feel like it had been a struggle. And honestly it wasn’t. Now that my visits to Trevor are over, the stabilisers are off and through the techniques Trevor has thought me I can help myself to maintain my weight and I can see myself at my ideal weight and shape for me. I am happier, healthier, more confident and everyone notices ! 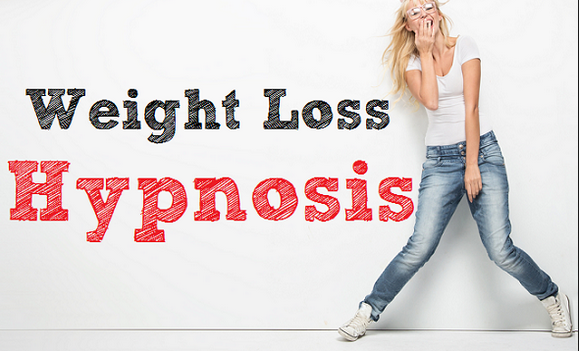 Would I recommend Hypnosis for weight management? One hundred percent yes, however I will add a BUT….You have to want to do this, you cannot enter into this half hearted and you have to be realistic. Hypnosis doesn’t make the pounds vanish like a magic potion. It’s still back to the basics of food and exercise. I was extremely successful because I worked really hard and practised the techniques I was taught. Thank you Trevor for helping me find a new and effective way of managing my weight for the future. I’m altogether more confident and feel so much more healthier and positive." "Hi Trevor, I’d like to thank you for believing in me. I really appreciate all the doors you’ve opened for me. I feel like my horizons have expanded, my thinking about food and what I put in my body has totally transformed; I read labels on food and I really care about what I’m eating now. I haven’t touched any rubbish food for 5 weeks now (bar one square of dark chocolate, because it’s supposed to be good for you I hear) – and I feel fantastic. I don’t even want rubbishy food anymore, so it’s not like I’m depriving myself. My confidence has improved and I’ve lost 18lb! I honestly can’t believe it, but I truly believe I made a life changing decision by coming to see you and I believe it will see me healthy and fit for life. Thank you so much!!" "I have also started back swimming in the last few weeks after 8 years.!! I do at least half an hours exercise daily and my eating is still perfect, a few cravings here and there but I deal with them with the mindfulness. I still listen to the mp3 as well. And I juice every day too. Generally in myself I am so much more relaxed and confident. I am much more willing to put effort into myself in general, for instance I got a book from a friend that is called ‘Love Your Body’ by Louise L. Hay I think her name is. On every page there is a body part/organ, and there is a small paragraph with it that you read out loud to yourself while standing in front of the mirror, ten times, morning and night. I found that great too, before doing the hypnosis I would have written off doing things like that as useless. I am always energized and happy.! I am so glad I came down to you, it has really changed my life SO MUCH.!! The comments coming from people about my loss are great too!". "I'm sure what I'm about to discuss will sound very familiar to a lot of people . I was slowly but surly just getting bigger . There are so many quick fit diets , shakes and tablets, slimming clubs etc . Well I did them all but I could only stay with the program for short periods of time . And when I would "fall off the wagon " any weight I lost would go straight back on with a little more . It's a vicious circle that I couldn't stop . My thinking was "what's the point, everyone else can do it, I haven't got the will power". I'm getting no where only bursting out of my clothes. So I came to a cross road , nothing in the wardrobe fits , I won't go out because I've nothing to wear, I would rather not get involved in anything because I feel so bad about myself. Do I start buying bigger clothes or do i put the money into looking for someone to give me will power and to change my mind set, stop my binge eating and cravings for sugar . Or Do I want to stay like this forever????" "That's when I started thinking about hypnosis . So I checked out the Internet and found Trevor Eivers. I didn't know him, I read his blog he was local and convenient. I rang him & set a date for my first appointment .I can't describe what a difference doing the 4 sessions weight lost program has done for me. 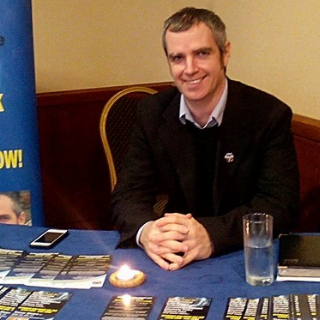 The first & most important aspect that Trevor made every clear, he promotes positive approach hypnosis I make hundreds of choices every day and what I was eating was what I was choosing. Through hypnosis Trevor gave me skills to make positive choices . I am responsible for these choices. I am not on a diet, I am not denying myself food . But I haven't eaten a sweet or sugary food since I started with over a month ago, there has been no Binge eating , it hasn't been difficult I've used the techniques Trevor gave me. I feel absolutely amazing, full of energy I want to get out for a walk and to add to this I am loosing weight. My clothes are starting to fit me again , I see myself in a very positive place . The money I was going to spend on bigger clothes I spent on myself .I truly mean this , I thank you Trevor for all the support and guidance”.